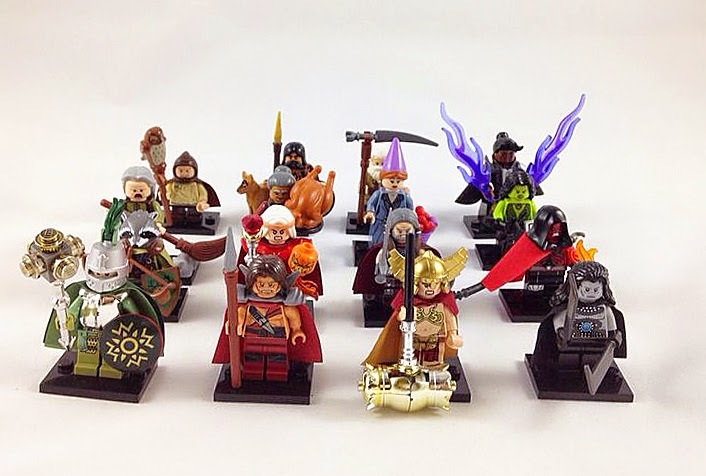 My friend Brick Burger has shared these magnificent minifigures in his Flickr.com account. These are built for the Guilds of Historica Custom Minifigure Contest in Eurobricks.com forum. Each of the figures are created with original parts only. He managed to use interesting pieces combined from different themes and eras. Who would know that the witches tie matches perfectly with a dwarfs torso so well? I like all the figures because each of them has a unique feature that makes it cool and also their faction in GoH is easy to recognize. My favorites are Exiled Warrior, Purple Witch and Fire Mage.